Home / CBD / CBD Dosages: How Much Should I Take? CBD Dosages: How Much Should I Take? Each day, we’re asked about different CBD dosages. It’s no wonder you’re searching for answers. Despite the growing awareness of the health benefits of cannabidiol, little has been said about dosing this unique compound. This guide will map out everything you need to know about different CBD dosages and how much CBD oil you should take for your condition. As much as we’d like to tell you a definite amount of milligrams that would fit every individual – or at least an official serving size of cannabidiol – it’s virtually impossible. CBD, short for cannabidiol, is a complex compound; besides modulating the endocannabinoid system (ECS), it acts on more than 60 molecular pathways, which means its interaction with the brain and body is more intricate than we could ever imagine. Nonetheless, it doesn’t mean that we can’t answer the title question. We can, but we need to examine the topic from two different angles. As mentioned, finding the universal CBD dosage is a pipe dream, and the sooner you come to terms with that, the better. Even the Food and Drug Administration (FDA) has not come up with Recommended Daily Intake (RDI) for CBD. We understand you might experience some kind of a dissonance because the message pharmaceutical companies have been sending us for a long time is clear: whatever you’re suffering from, there’s always a magical pill to treat it. Even the dosage guidelines provided by some CBD experts and companies should be treated as general figures – not a universal point of reference. This, in turn, brings us to the long answer. Keep in mind that as the body undergoes physiological changes, so do the cannabinoid receptors in ECS, whose activity is attributed to the effects of CBD. In other words, your optimal CBD dosage can shift throughout your life. At this point, you’re probably wondering how to determine, at least, where to start with dosing CBD. As with any substance, your CBD dosage depends on your body weight. It goes without saying that an individual with less body mass will need less CBD to experience its effects – and vice versa. A good starting point for people who are new to cannabidiol is to take between 1 to 6mg of CBD for every 10 pounds of body weight. For example, for a 150lb individual who’s never taken CBD oil before, a dose of approximately 15 mg daily should suffice. That is, of course, if you’re going to use CBD as a supplement or to fight mild-to-moderate conditions. Oil drops are now the most popular consumption method. They offer a high absorption rate and are fairly easy to use. However, not everyone will like the distinct taste of CBD oil. If that’s your story, try vaping CBD to deliver it along with other active compounds through inhalation. 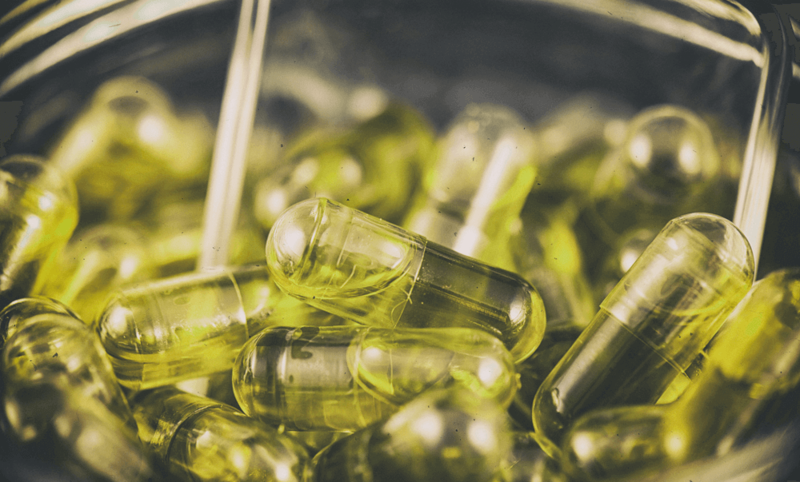 You might also want to try CBD capsules, which contain a fixed dose of cannabidiol, so there’s no need to measure the amount of CBD in a dropper each time you need to medicate yourself. Bioavailability is measured by the amount of CBD that actually reaches the bloodstream. Simply put, when you take a 25mg CBD capsule, you will deliver around 4-6 times the amount of CBD to your body than if you consume the same amount of oral tinctures. Bioavailability has a huge impact on finding your optimal CBD dosage. A CBD-friendly doctor should have a decent understanding of how your body will react to cannabidiol. When you consult your CBD dosage with a physician, make sure to provide them with your medical record and be honest about anything the doctor asks you. Only then will you be able to figure out how much CBD oil you should take. Once you know your initial CBD dosage based on your body weight, start taking CBD oil with baby steps. Use the minimal starting dose for one week and observe the results. If you can’t feel the difference, gradually increase the amount of CBD until you hit the sweet spot. But above all, never start with high doses. Consuming too much CBD at once may cause you to experience some unwanted side effects such as nausea or dizziness. On top of that, your body might develop sudden substance tolerance due to a dramatic influx of plant-based cannabinoids. As we said, there are general CBD dosage recommendations you can use for specific conditions. After years of research, scientists have finally put the CBD dosage into some kind of a reference framework which allows patients to get an idea of where to start. Finding the best CBD dosage for your needs can be a hard nut to crack. Not only is the nature of cannabidiol complex itself, but the effectiveness of CBD depends on several different factors, including your CBD’s potency, its bioavailability, your body mass, unique body chemistry, lifestyle, and the severity of your condition. Although scientists have come up with general dosage guidelines for certain health conditions, the best way to figure out how much CBD oil you should take is through the classic trial and error. Start with low amounts and gradually make your way up until you feel the desired effects; and if you feel unsure about dosing CBD on your own, consult a hemp-friendly physician so you can both establish the proper strategy. How about you? How much CBD is enough for you? Previous post: CBD vs. THC: What’s The Difference?